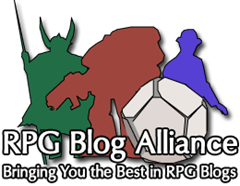 Blazeric over at Warhammer on Gorfang is a new blogger looking to get into the WCPI and has a small train of posts rolling along already. With a handful of great blogs down, it’s the new batch that we should encourage to join us in promoting Warhammer and being a contributing part of the community. Blazeric is still excited about the game, and his posts show it. It’s a big deal to begin a new blog and start putting yourself out there. Your thoughts and ideas shared with everyone who wanders along can make you feel vulnerable, the earlier stages of a blog where people have yet to take notice can make you feel ignored. Of the hundreds of thousands of people that play WAR, he shares the common goal of the rest of us bloggers to add yet another facet of depth to the full community experience. That, is something worthy of notice. Thanks for the post. Should be a fun experience. I hope to be around for awhile. Also keep up the good work.